RICH in amino acids, vitamins, minerals and dietary fibres, bamboo shoots are used to prepare delicacies in Assam. But after the harvest, the shoots brown, which reduces their shelf life. Studies have shown that edible biological components such as polysaccharides, proteins and lipids can be used to form films for preserving fruits and vegetables. However, films made from a single polymer are permeable to water vapour and microbes. To overcome such drawbacks, researchers have now made a composite film using potato starch, sodium alginate and carboxymethyl cellulose which can protect bamboo shoots from browning and microbial attacks. The researchers synthesised six types of composite films using varying concentrations of potato starch, sodium alginate and carboxymethyl cellulose. Antioxidant compounds extracted from Garcinia pedunculata, an evergreen tree, and antimicrobial agents isolated from fermented bamboo shoots were also added to the films. Of the six films, the one which showed maximum capacity for stretching and strength wasÃ”Ã‡Ãªselected for the study. The efficacy of the coat to protect bamboo shoots from browning, water vapour loss and microbial attacks was analysed and the results showedÃ”Ã‡Ãªthat the coating reduced weight loss of shoots by seven per cent as it restricted moisture loss from the surface. On the other hand, uncoated samples showed a weight loss of around 20 per cent. In coated samples, the surface microbial load was also found to have dropped significantly, while it increased in uncoated samples. The coat also limited the metabolic activities of the shoots, delaying the enzyme-induced browning. 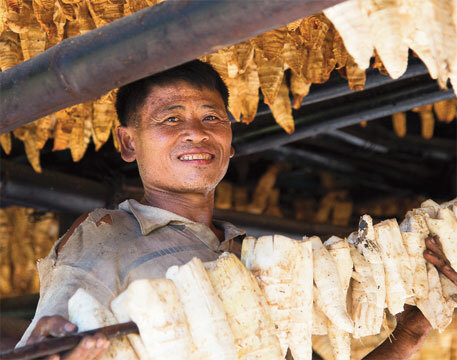 “In addition to protecting bamboo shoots, the film-forming solution can be used to form edible coats on many fruits and vegetables to reduce browning and microbial load,” says lead author of the study Laxmikant Badwaik from Tezpur University, Napaam, Assam. The study has been published in the March 15 issue of Carbohydrate Polymers.